Since Xavier Expeditions began, we've been exploring wilderness. As we grow, we will offer new destinations. Detailed below are places we go, grouped into three regions. 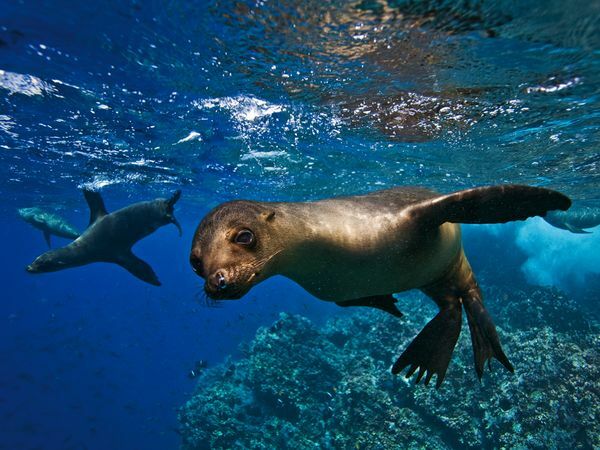 For specifics on this year's destinations, visit Upcoming Expeditions. 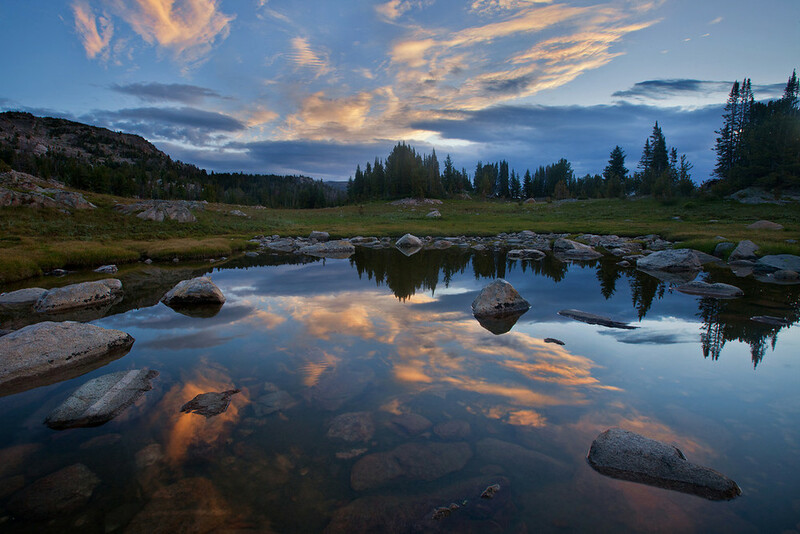 The Absaroka-Beartooth Wilderness is located northeast of Yellowstone National Park. The Wilderness is home to Montana's tallest peak, the steep rocky mass known as Granite Peak. 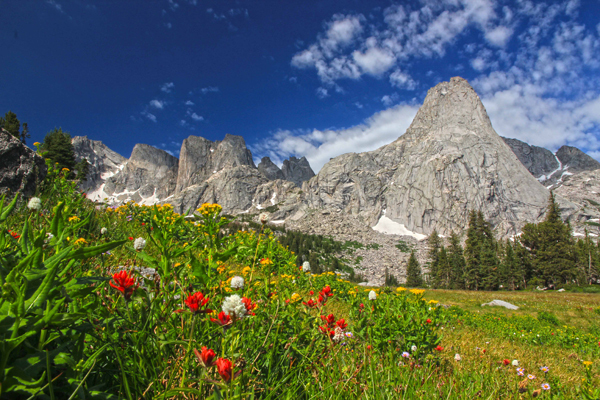 At 12,799 feet, Granite Peak towers above the Beartooth Plateau. It anchors the Beartooth Range, which stands higher and more rugged than the Absarokas, with many peaks exceeding 12,000 feet. The Beartooth portion of the AB is dominated by vast, treeless plateaus, which fall off sharply into surrounding canyons, much like the Alaska Range. Lakes are numerous, usually small and tucked high into glacial cirques. The Absaroka portion includes active glaciers, sweeping tundra plateaus, deep canyons, sparkling streams, and hundreds of alpine lakes combine to make this one of the most outstanding Wilderness areas in America. The Absarokas, unlike the Beartooths, have ample vegetative cover, including dense forests and broad mountain meadows crossed by meandering streams. Mt. Cowan is the tallest peak in the Absaroka Range, topping out at 11,206 feet. 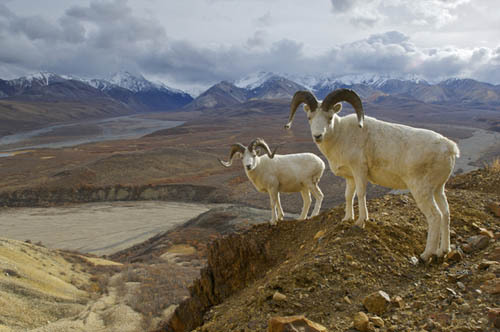 Bighorn sheep and mountain goats roam about the mostly rugged country, along with elk, deer, moose, marmots, coyotes, black bears, wolves and members of a substantial grizzly population. Rising over a mile above the valley floor, rich with abundant and extraordinary wildlife, pristine lakes, and alpine terrain, the Teton Range are of the imagination. There are few mountain ranges in the world that jut so strikingly above the surrounding landscape. The manner in which they dramatically stand conveys a contradiction between serenity and wildness, a struggle between thoughts of nothingness and thoughts of the divine. This is truly a remarkable setting which draws and inspires artists from all over the world. Yet, still, the artist's photographs, paintings and poetry do not capture the essence of these peaks. The Gros Ventre Wilderness lies just east of Jackson in western Wyoming. It is roughly bounded by the Gros Ventre River to the north, the Green River to the east, the Hoback River to the south and the National Elk Refuge and Snake River to the west. The Gros Ventre Wilderness is outstanding habitat for important big game species including bighorn sheep, elk, deer, and black bear. It is essential calving ground for the Jackson Hole elk herd. 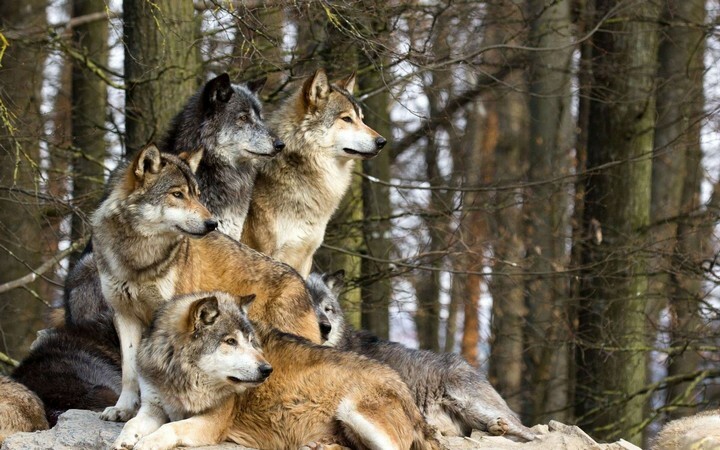 Wolves, grizzly bears, mountain lions, and bison also call this wilderness home. Its spectacular geological features including a collage of colorful rocks. When the sun sets in Jackson Hole, the last mountaintop to hold the dying alpenglow is the Sleeping Indian. The Indian is lying on his back and wearing a full warbonnet, effectively hiding from view the wild canyons and plateaus of the Gros Ventre Wilderness. The Gros Ventre is a landscape of contrasts - from big, lush meadows to steep pinnacles of limestone. The highest peak in Doubletop at 11,682 feet. Spectacular views of the Teton Range can be seen from virtually any high points. 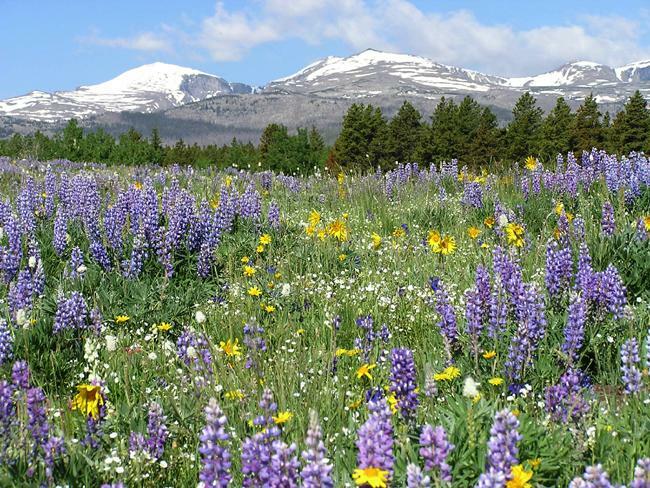 A diverse variety of plant communities are found in the Gros Ventre. All have been shaped by past fire occurrence. Meadows range from wet sedge types to the drier grass and forb types. Forested stands range from those dominated by aspen, Douglas fir, or lodgepole pine to the higher elevation spruce-fir or whitebark pine communities. 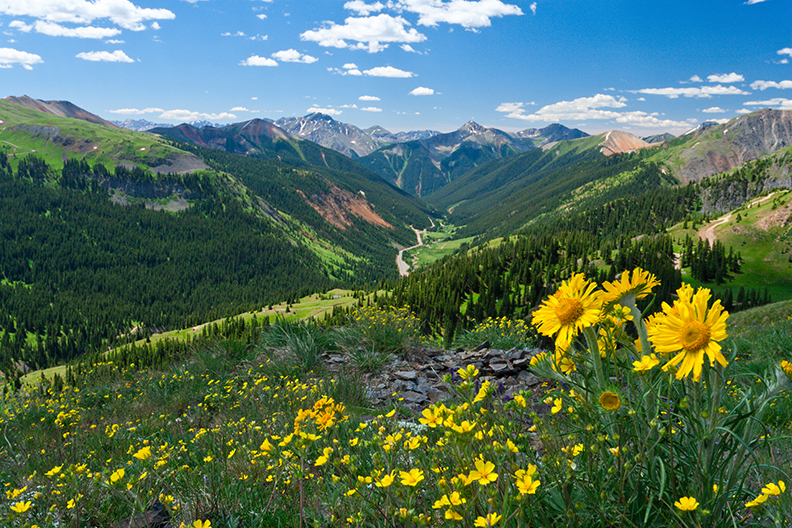 Alpine tundra extends from the upper limit of trees to the tops of the mountains. The Teton Wilderness straddles the Continental Divide deep in the heart of the Yellowstone Ecosystem. It is bordered on the north by Yellowstone National Park, on the east by Washakie Wilderness, on the west by Grand Teton National Park, and on the south by the Mt Leidy Highlands and Gros Ventre Wilderness. To the west of the Great Divide the land is dominated by timbered ridges, grassy slopes, and broad willow and sedge meadows with elevations from 7,000 feet to 9,675 feet. To the east of the Great Divide are high alpine plateaus broken by ridges and extensive mountain meadows with elevations up to 12,165 feet (Younts Peak). On Two Ocean Pass, the famous Two Ocean Creek splits to send water to both the Atlantic and the Pacific. Within the Teton Wilderness the headwaters of the notable Yellowstone and Snake Rivers arise in alpine meadows of willow and sedge. You'll see evidence of the great fires from the summer of 1988 that burned here and in Yellowstone. But in general, this area is vast, spectacular, and relatively unspoiled. Named after Chief Washakie, a historical figure and leader of the Shoshone, the Wahsakie Wilderness is adjacent with Yellowstone National Park to the northwest, Teton Wilderness to the west, and the Wind River Indian Reservation to the southeast--a combination of lands that stretches across a tremendous part of western Wyoming and is one of the greatest wild regions of America. In the southern Absarokas you'll find broad, flat-topped mountains and plateaus separating narrow valleys that have been deeply incised with exposed volcanic strata. This volcanic material lies primarily horizontal and has been eroded into irregular step-like cliffs and buttes. These unique geological formations, in addition to petrified forests and many fossils of long-gone plants and animals, are among the most attractive attributes of this area. Elevations range from about 6,600 feet to 13,153 feet, and peaks exceeding 12,000 feet are scattered throughout the Wilderness. Large portions are rough and barren, and vegetation is sparse even though approximately half the area is forested. Straddling the Continental Divide and covering much of southwest Montana, the Beaverhead-Deerlodge National Forest has quite a history, from Sacajawea identifying a Beaver-head looking rock as the spot where Lewis and Clark would meet her people to a geo-thermal mound that was considered to be a "Deer Lodge" or large medicine lodge with mineral waters nearby that attracted large numbers of deer. This national forest is one of the largest in the contiguous United States. Few places in America, and nowhere outside of Alaska, provide a Wilderness experience to match the sheer magnitude of the Frank Church-River of No Return, the second largest wilderness the Lower 48. This area combines the old Idaho Primitive Area, the Salmon Breaks Primitive Area, territory on six national forests, and a small swath of land managed by the Bureau of Land Management. Senator Frank Church played a key role in the passage of the Wilderness Act of 1964, and his name was added to the Wilderness in 1984, shortly before his death. It is a land of clear rivers, deep canyons, and rugged mountains. Two white-water rivers cut through canyons: the Main Salmon River, which runs west near the northern boundary; and the Middle Fork of the Salmon, which begins near the southern boundary and runs north for about 104 miles until it joins the Main. 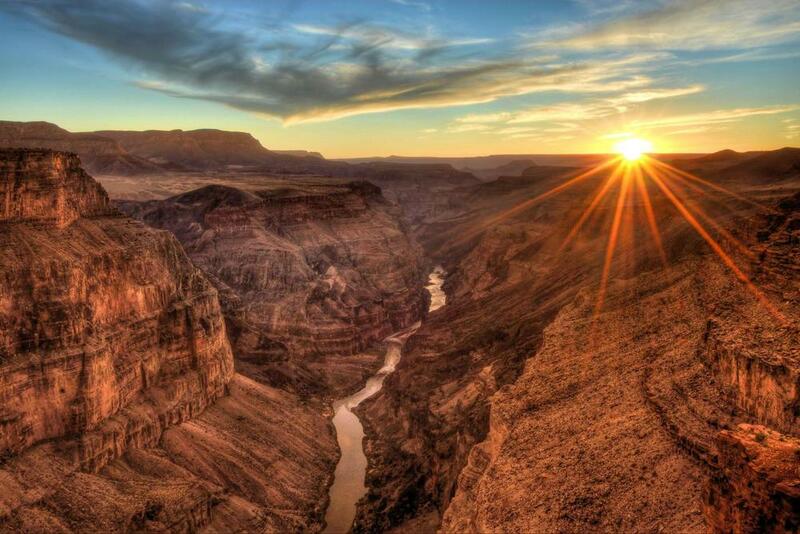 Reaching 6,300 feet from the river bottom, the canyon carved by the Main Salmon is deeper than most of the earth's canyons--including the Grand Canyon of the Colorado River--and this fast-moving waterway has been dubbed the River of No Return. In the northeastern corner of the Wilderness, the Selway River flows north into the nearby Selway-Bitterroot Wilderness. Trout fishing usually rates from good to excellent. The Middle Fork, the Selway, and nearly all of the Main Salmon are Wild and Scenic Rivers. Unlike the sheer walls of the Grand Canyon, these rivers rush below wooded ridges rising steeply toward the sky, beneath eroded bluffs and ragged, solitary crags. The Salmon River Mountains dominate the interior of the Wilderness. Without a major crest, these mountains splay out in a multitude of minor crests in all directions, and rise gradually to wide summits. East of the Middle Fork, the fabulous Bighorn Crags form a jagged series of summits, at least one topping 10,000 feet. The Crags surround 14 strikingly beautiful clearwater lakes. Hiking up from the rivers into the mountains brings sudden elevation changes. A dry country, as little as 10 inches of precipitation falls near the rivers. As much as 50 inches may fall on the mountaintops, but much of it is snow. 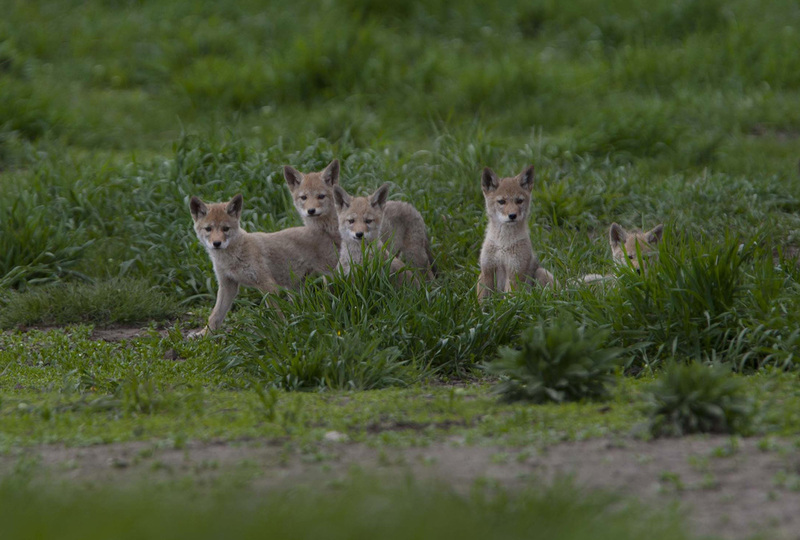 Despite the dryness, wildlife abounds. As many as 370 species have been identified in a single year, including eight big game animals. Wildfire has been allowed to play a more natural role in the wilderness in recent years. Tens of thousands of acres have burned without the interference of humans, producing a mosaic of vegetation from severely burned timber stands in some areas to lightly burned grass slopes and understory in other areas. A network of 296 maintained trails (approximately 2,616 miles worth) provides access to this seemingly endless area, crossing rivers and streams on 114 bridges. This is a paradise for remoteness. Despite the extensive trail system, an amazing 1.5 million acres remains trail-free. Nez Perce National Forest is a beautiful and diverse land. From the dry, rugged canyons of the Salmon River to the moist cedar forests of the Selway drainage, this vast area provides breathtaking scenery and pristine waters. The Forest is best known for its wild character, but it was the traditional home of the Ni Mii Puu (The People). The Ni Mii Puu were later named the Nez Perce Indians by the Lewis and Clark expeditions. The Salmon Challis National Forest is rich with history as evidenced through the numerous rock shelters displaying pictographs and from what are now ghost towns of the mining days. The Sheepeater Indians of the Shoshone Tribe were among the first to populate this remote region; living along the river banks, they would often share their bountiful fishing and hunting grounds with the Nez Perce and Flathead Indians. In the early 1800’s, the Lewis and Clark Expedition crossed the continental divide into unchartered territory; and through the help of Indian guides Toby and Sacajawea, they opened the west to trappers, fur traders, miners, ranchers, lumbermen, and missionaries. Today, visitors can view remnants of history as they explore the mining ghost towns found in Mackay, Gilmore, Custer, Leesburg, and Yankee Fork; hike a portion of the Lewis and Clark Trail; or view pictographs while floating down one of the Salmon Rivers. When visiting the Salmon Challis National Forest, one does not want to miss the diverse habitat that is accommodating to a variety of fish and wildlife. On any given day an individual could see a bear sitting riverside, mule deer crossing the road, elk grazing in someone’s pasture, bighorn sheep standing on a cliff, or bald and golden eagles flying overhead. And if you’re quiet, you might see a moose standing in the marshes, a mountain goat jumping from rock to rock, or a steelhead fish catching that bothersome fly. 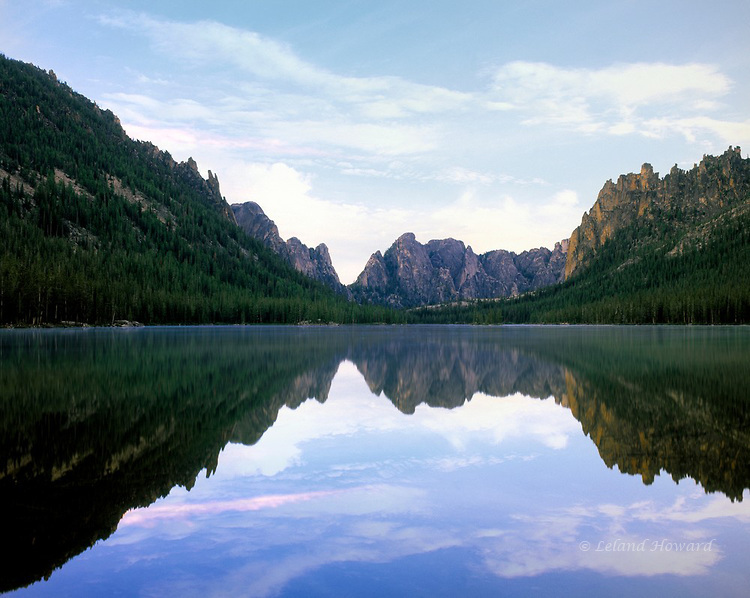 The Sawtooth Mountains have long been recognized for their exceptional beauty and wild qualities. As the name suggests, this spectacular wilderness is comprised of hundreds of jagged peaks, 42 over 10,000 feet in height, with hundreds of high alpine lakes and tranquil basins. Within this dazzling landscape with its endless recreation possibilities, lie the headwaters of three major rivers. Deep, secluded valleys provide habitat for an abundant population of wildlife and many species of fish. 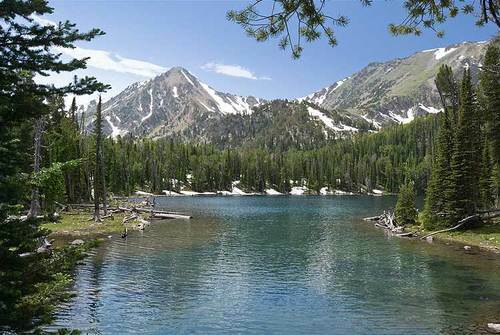 The Sawtooth Wilderness has the clearest air in the continental United States. Many visitors come for the outstanding scenery, trout fishing, mountain climbing, hunting, hiking and camping. Forty-two Wilderness trails cover about 270 miles. Some remarkable regions of the Wilderness are only accessible by off-trail route finding. The Bitterroot Mountains form a rugged, glacier-carved border between Idaho and Montana. 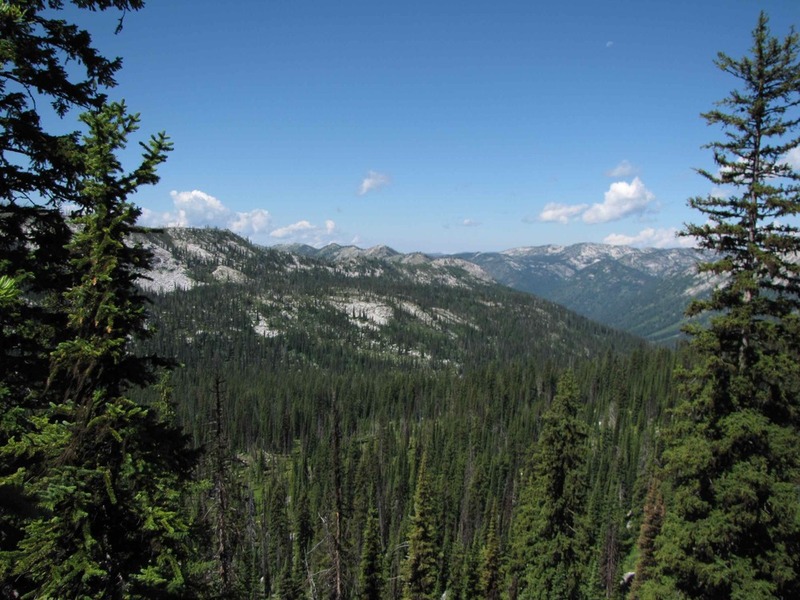 On both sides of this border is the Selway-Bitterroot Wilderness, the third largest Wilderness in the Lower 48. Only the 600 foot wide Nez Perce Trail (the Magruder Corridor), an unimproved dirt road, separates the Selway-Bitterroot from the Frank Church-River of No Return Wilderness. Except for the high crest of the Bitterroot Mountains, the area is dominated by ridges broken with raw granite peaks. Below the ridges are deep canyons covered with thick coniferous forest. Hidden low valleys are rich with old-growth cedar, fir, and spruce, with Ponderosa Pine dominating open grassy slopes along the rivers. Few humans visit the huge trailless portions of this Wilderness, which makes it all the more appealing for the Selway elk herd, plus abundant deer, moose, black bears, mountain lions, and wolves. Approximately 1,800 miles of trails wind through the area providing access to both the Montana and Idaho sides of the mountains, but many trails in the area are unmaintained and rugged. Travel by foot and stock can be challenging, but rewarding, in the heart of this large wild area. 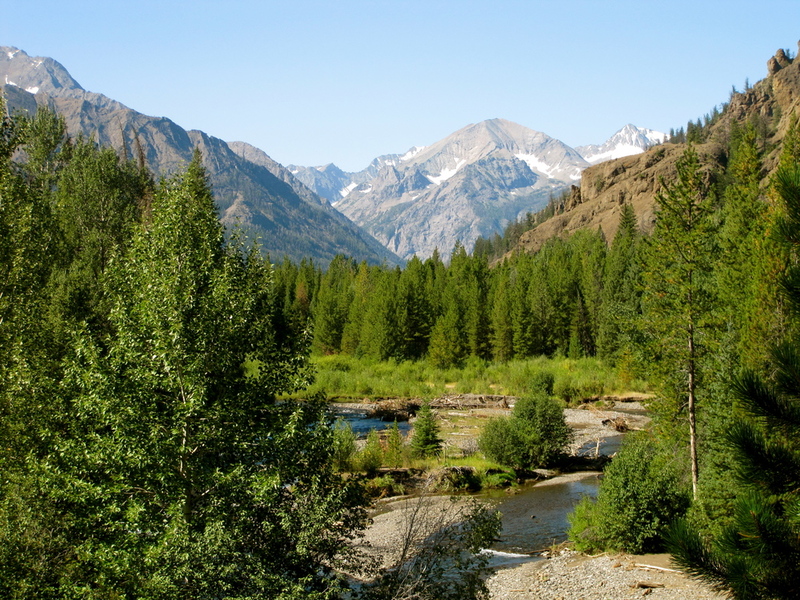 Mostly within the Selway-Bitterroot Wilderness, the Wild and Scenic Selway River rushes out of the mountains of Idaho and is joined by flows from the Moose Creek drainage and lower down the Lochsa River. The Selway is a premier whitewater river offering a wild, remote, and self-reliant river experience. Millions of years of land uplifts and stream cutting created the colorful sheer cliff walls of Canyon de Chelly. Natural water sources and rich soil provided a variety of resources, including plants and animals that have sustained families for thousands of years. The Ancient Puebloans found the canyons an ideal place to plant crops and raise families. The first settlers built pit houses that were then replaced with more sophisticated homes as more families migrated to the area. More homes were built in alcoves to take advantage of the sunlight and natural protection. People thrived until the mid-1300’s when the Puebloans left the canyons to seek better farmlands. Related to the Athabaskan people of Northern Canada and Alaska, the Navajo settled the Southwest between the four sacred mountains. The Navajo, or Dine' as they call themselves, continue to raise families and plant crops just as the “Ancient Ones” had. The farms, livestock and hogans of the Dine’ are visible from the canyon rims. Canyon de Chelly National Monument preserves evidence of more than 4,000 years of human occupation. The monument encompasses approximately 84,000 acres of lands located entirely on the Navajo Nation with roughly 40 families residing within the park boundaries. 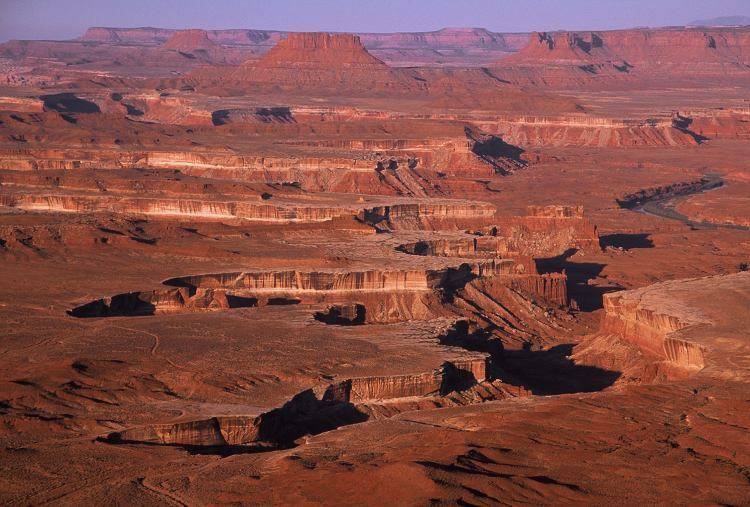 People have visited what is now Canyonlands National Park for over 10,000 years. Over time, many different groups have moved in and out of the area in concert with the availability of natural resources and the technology for exploiting those resources. The rich and colorful history of Canyonlands is perhaps best told by the individuals who witnessed it. As told by cowboys, scientists, park rangers, and former government officials, these stories paint vivid pictures of canyon country and all the characters that have called it home. The cultural flowering of the Chacoan people began in the mid 800s and lasted more than 300 years. We can see it clearly in the grand scale of the architecture. Using masonry techniques unique for their time, they constructed massive stone buildings (Great Houses) of multiple stories containing hundreds of rooms much larger than any they had previously built. The buildings were planned from the start, in contrast to the usual practice of adding rooms to existing structures as needed. Constructions on some of these buildings spanned decades and even centuries. 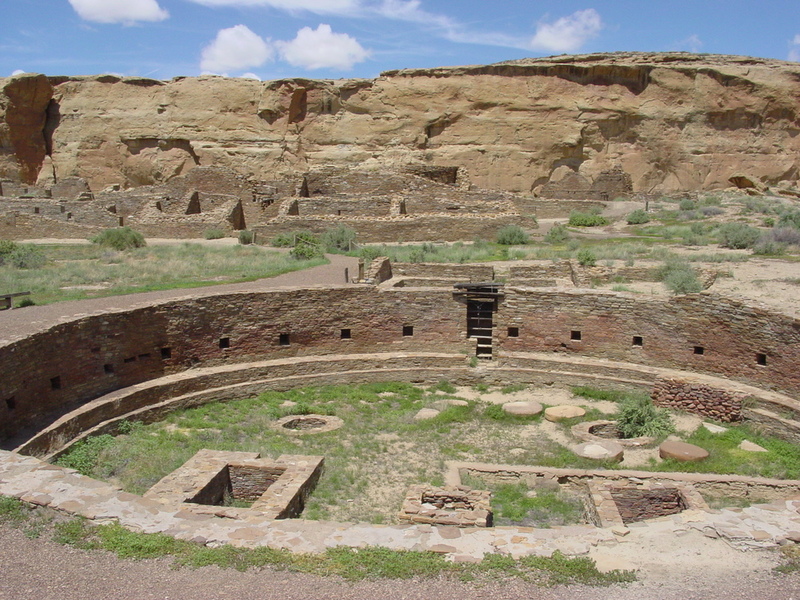 Although each is unique, all great houses share features that make them recognizable as Chacoan. 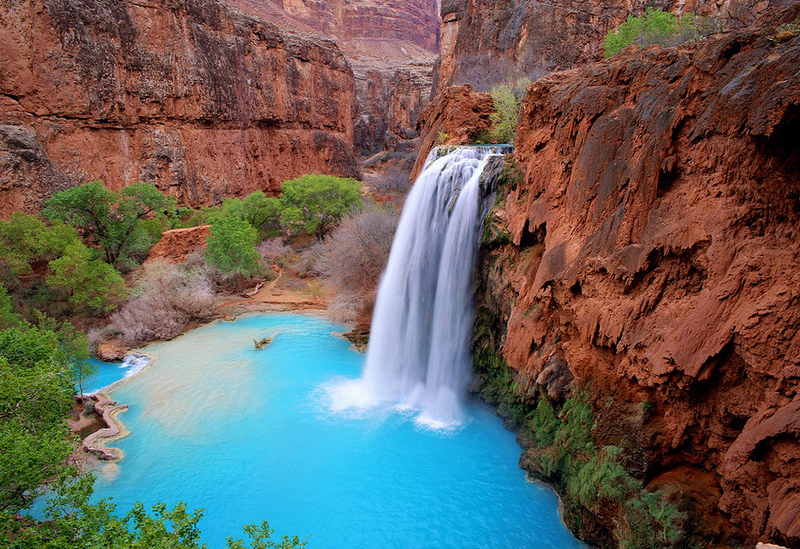 Located on Havasupai Land, Havasu Falls is known throughout the world and has appeared in numerous magazines and television shows, and is often included in calendars that feature incredible waterfalls or beautiful scenery. Visitors from all over the world make the trip to Havasupai primarily for Havasu Falls. People have been part of Grand Canyon's history and culture from 10,000 years ago through today. Passing through or calling the canyon home, many people have influenced the development and protection of Grand Canyon for themselves, for visitors, and for the National Park Service. Based on archeological evidence, hunter gatherers passed through the canyon 10,000 or more years ago. The ancestral Puebloan people have lived in and around the canyon for several thousand years, leaving behind dwellings, garden sites, food storage areas, and artifacts. Modern tribes still consider Grand Canyon their homeland. Experience one of the most majestic - and most photographed - points on earth. This great valley boasts sandstone masterpieces that tower at heights of 400 to 1,000 feet. framed by scenic clouds casting shadows that graciously roam the desert floor. The angle of the sun accents these graceful formations, providing scenery that is simply spellbinding. 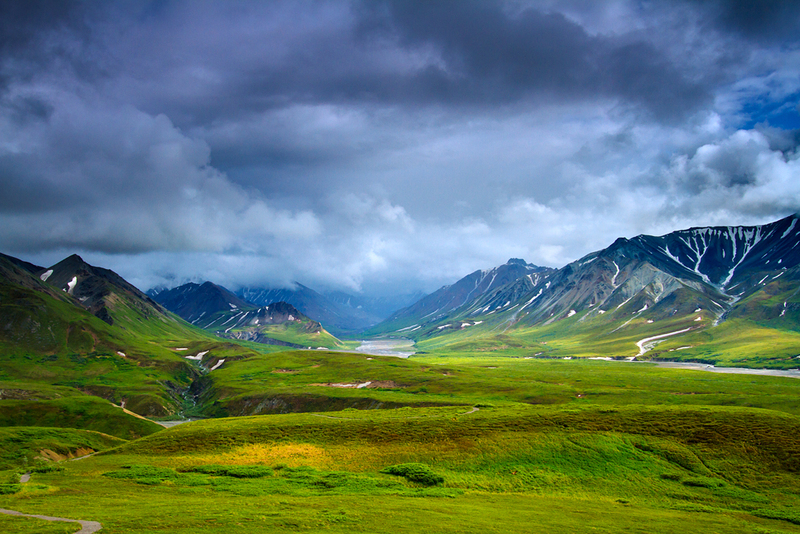 The landscape overwhelms, not just by its beauty but also by its size. The fragile pinnacles of rock are surrounded by miles of mesas and buttes, shrubs, trees and windblown sand, all comprising the magnificent colors of the valley. All of this harmoniously combines to make Monument Valley a truly wondrous experience. Before human existence, the Park was once a vast lowland basin. For hundreds of millions of years, materials that eroded from the early Rock Mountains deposited layer upon layer of sediments which cemented a slow and gentle uplift generated by ceaseless pressure from below the surface, elevating these horizontal strata quite uniformly one to three miles above sea level. What was once a basin became a plateau. Natural forces of wind and water that eroded the land spent the last 50 million years cutting in to and peeling away at the surface of the plateau. The simple wearing down of altering layers of soft and hard rock slowly revealed the natural wonders of Monument Valley today. By the end of the last Ice Age, hunter-gatherers roamed the Southwest. During this time, the region was cooler with a grassland environment. People gathered wild plants for food and hunted extinct forms of bison and other large herd animals. The nomads used a device called an atlatl to throw their spears and darts. With their distinctive elegant fluting, the projectile points of these ancient people help define the Clovis and Folsom Cultures. Folsom and Clovis camps have been found within Petrified Forest National Park as well as fluted projectile points made of petrified wood. By 4000 B.C., the climate had become similar to that of the present. The area became warmer and the monsoon pattern of precipitation evolved. The megafauna of the past were extinct. People had to broaden their source of food, including many different species of plants and animals. Farming and sedentism began during this period, particularly as corn was brought into the region from the south in the Late Archaic Period. Indicative of this period were one-handed manos, basin metates, flaked tools, and no pottery. The Valley of Fire derives its name from red sandstone formations, formed from great shifting sand dunes during the age of dinosaurs, 150 million years ago. Complex uplifting and faulting of the region, followed by extensive erosion, have created the present landscape. Other important rock formations include limestones, shales, and conglomerates. 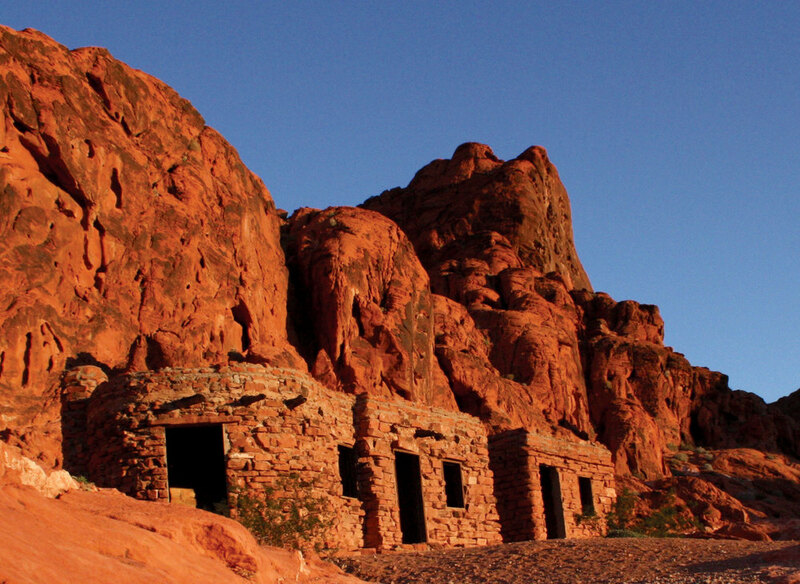 Prehistoric users of the Valley of Fire included the Basket Maker people and later the Anasazi Pueblo farmers from the nearby fertile Moapa Valley. The span of approximate occupation has been dated from 300 B.C.E. to 1150 C.E. Their visits probably involved hunting, food gathering, and religious ceremonies, although scarcity of water would have limited the length of their stay. Fine examples of rock art left by these ancient peoples can be found at several sites within the park. Incredible. 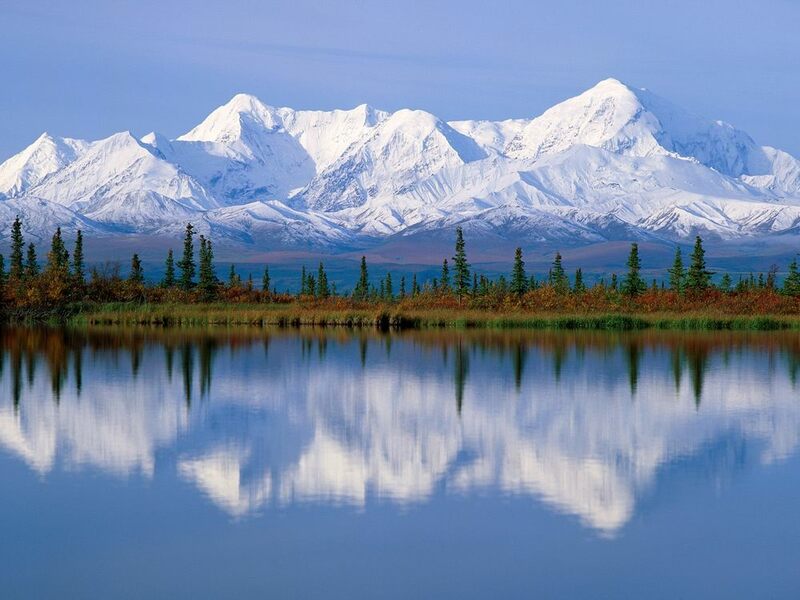 You must see Wrangell-St. Elias National Park and Preserve to believe it. Number and scale loom large here, magnified by splendid isolation. The largest U.S. national park, it equals six Yellowstones, with peaks upon peaks and glaciers after glaciers. Follow any braided river or stream to its source and you will find either a receding, advancing, or tidewater glacier. Hike its mountains, float its rivers, fly over this landscape to witness living geology. Here, you sense discovery, the feeling you might be the first to see such sights. The peaks' sheer numbers quickly quell your urge to learn their names. Just settle back and appreciate their beauty, mass, and rugged grandeur. That roads are few means most people never enter the park itself. We are planning future destinations for Xavier Expeditions within and beyond the 48 states. Here's a few that we have in the planning stages. These may change, including the dates forecasted as our plans begin to materialize. Hover over each photo to learn more about our possible destinations. An arctic wilderness the size of South Carolina. Long summer days, winters in darkness. 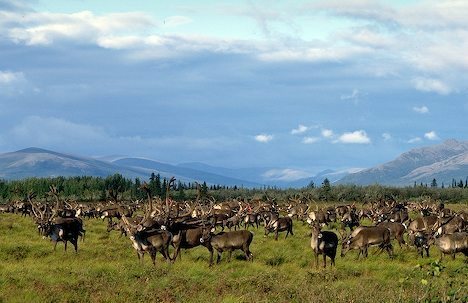 Caribou, polar bears, brown bears. This is a place of extreme immersion into the wild nature of our planet. Given the nature of planning this trip, we are taking our time and foresee introducing this excursion into Xavier Expeditions in the Summer of 2016. For now, we have included a pdf publication by the US Fish and Wildlife Service entitled "Sense of the Refuge". Begins October, 2016. his two-week long trip will include a lengthy excursion to Churchill, Manitoba on the shores of the Hudson Bay to see the Polar Bear and the challenges facing it. 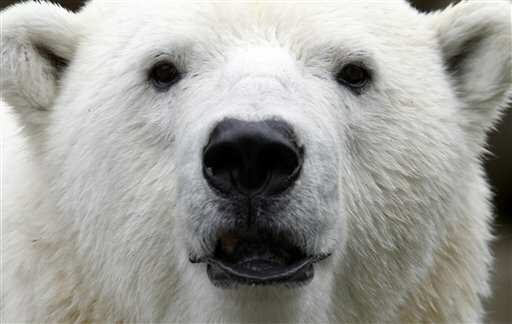 This course also considers the Polar Bears' revelatory power from the perspetive of arctic First Nations peoples and the possibility that the Polar Bear has not lost its power as a spirit guide but, in fact, has increased its power, only this time, as a spirit guide for the global community with respect to human-earth relations. Begins Summer, 2017. This three week long trip will include a lengthy exploration of wildlife ecology, indigenous African life, and the spiritual dimension of conservation. Begins Summer, 2018. This three week long trip will include a lengthy exploration of evolution and creation. As the first American state/federal park, Yosemite is a gem to visit, especially during the off-seasons when visitor levels are low. This is an expedition that will be held when snow overtakes the valley. To learn more about places we go, below are links to websites for all destinations mentioned in the slideshows above.